HistoryCorps helped put me on my current career path. My HistoryCorps internship brought history to life for me. 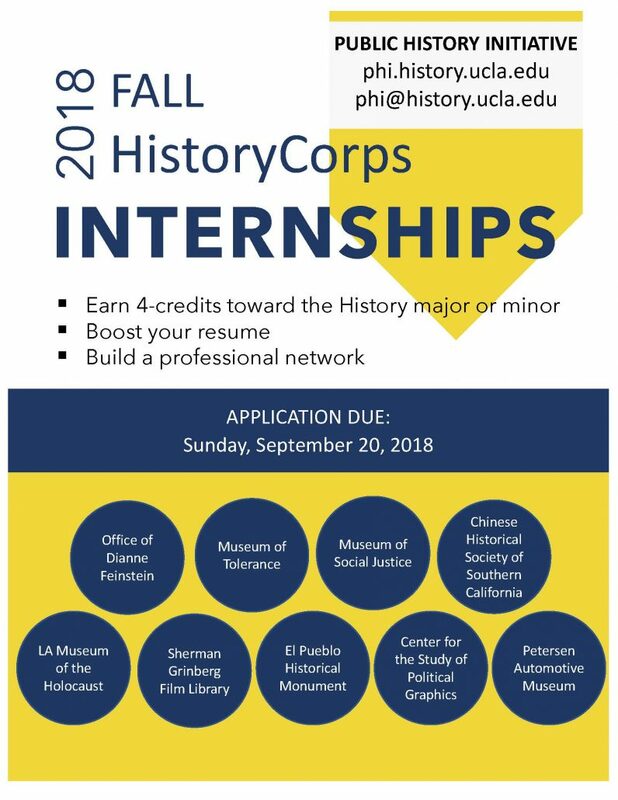 HistoryCorps offers a unique internship opportunity for upper division UCLA History majors and minors to earn 4-units of course credit by applying the skills learned in the classroom to real world situations. Our goal is to enhance undergraduate education through community engagement and offer students an opportunity to build transferable skills by working with professionals on public history projects. 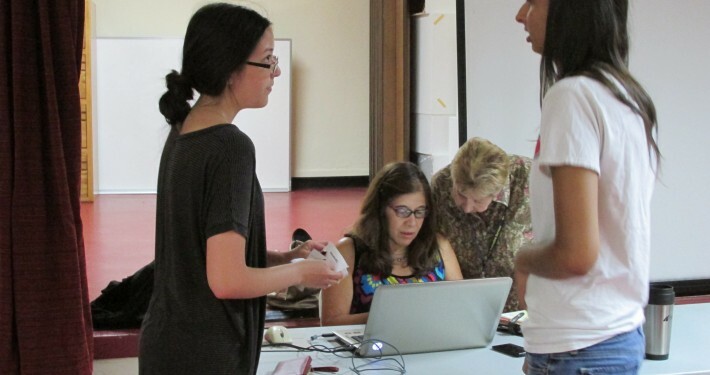 Our interns receive training and mentorship in preservation, education, and community outreach. By linking history students with institutions outside the academic setting, HistoryCorps fosters a greater understanding of the application of history beyond the university. 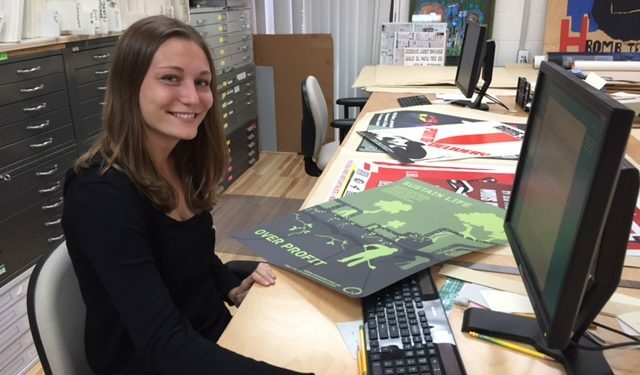 HistoryCorps intern Megan Haddad cataloguing posters at the Center for the Study of Political Graphics. HistoryCorps interns Katie Bruck and Deepeaka Dhaliwal prepare for the opening of “Exodus” at the Museum of Social Justice. HistoryCorps intern Isabella Welch assembling film for digitization at the Sherman Grinberg Film Library. 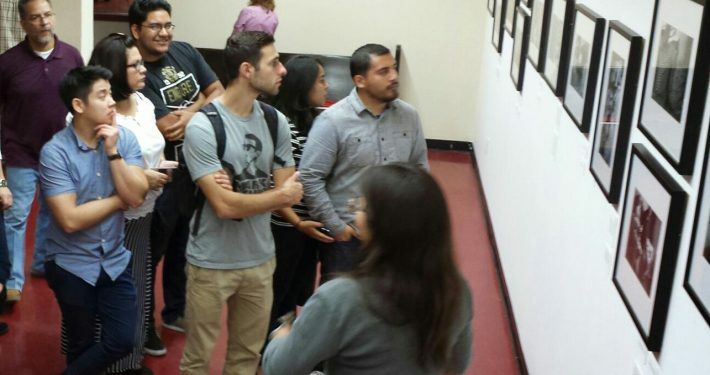 HistoryCorps intern Brianda Felix leading an educational tour at the Museum of Social Justice. 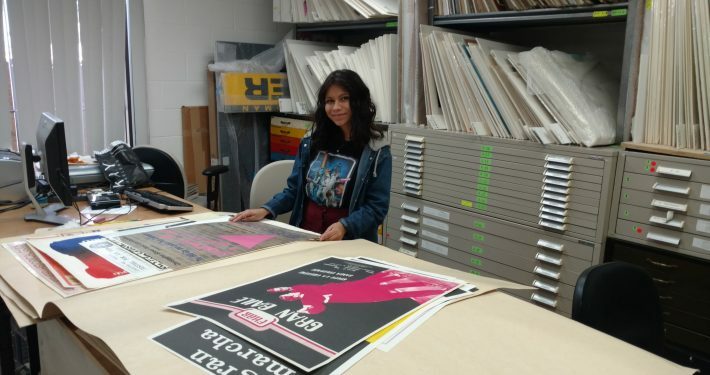 HistoryCorps intern Linda Esquivel working with historic posters at the Center for the Study of Political Graphics. 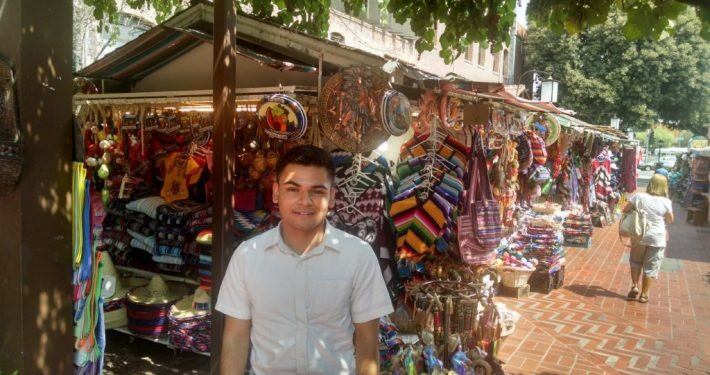 HistoryCorps intern David Castro participating in a cultural heritage event at El Pueblo de Los Angeles Historical Monument. 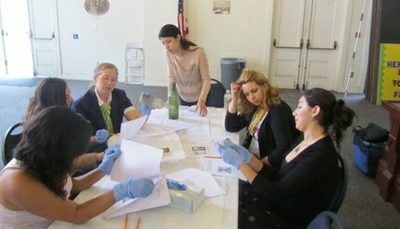 HistoryCorps intern Karol Dominguez working with archeologists at El Pueblo de Los Angeles Historical Association. 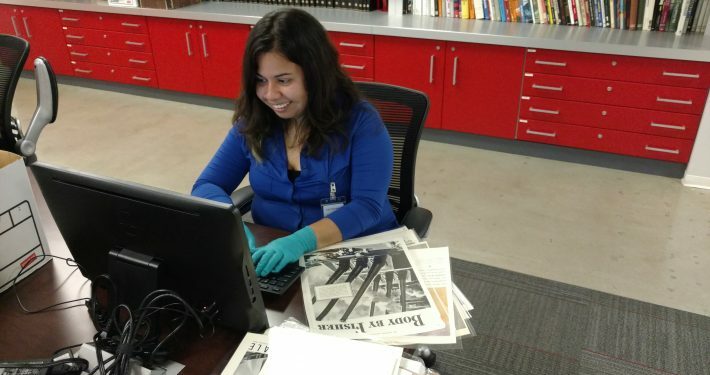 HistoryCorps intern Helen Immerso preparing metadata at the Peterson Automotive Museum.